Eurasian real human hair bundles -virgin hair available in weft for weaving/Sewins and bulk for strand by strand styles. Highest quality/grade I-Tip stick, U-Tip nail pre-bonded keratin strand by strand hair extensions, 100 strands/ 100gramms, also available in weaving and bulk. 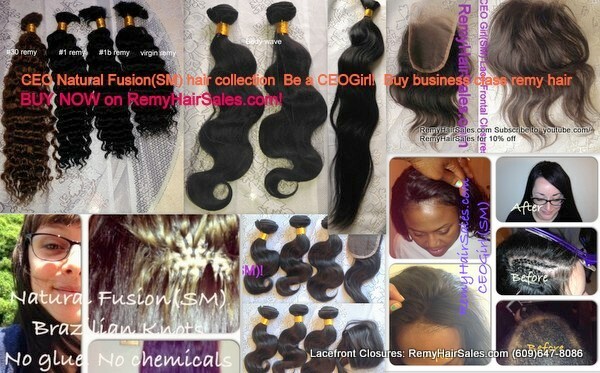 RemyHairSales.com Brand: CEOGirl(sm) hair. Eurasian remy hair CEOGirl(SM) RemyHairSales.com hair excellence! Eurasian 18" 4 hair bundles includes closure by CEOGirl(sm) remy hair, business class. Pre-bonded keratin human hair extensions.